Your iPhone backup is an essential part of data integrity. With internal memory on iPhone hitting 256GB, iPhone users are becoming more click-happy and video-friendly. The problem is, more advanced image and video formats call for a lot of space, which means even 256GB is not enough at some point. The second argument for backing up your iPhone data is data loss, which can be a terrible experience because you'll lose media files that can never be recovered, such as precious photos or videos. But what happens if your iPhone shows an error while trying to restore your backup data? If you've ever been in that situation you know how frustrating it can be. Fortunately, there are several tools you can use to extract your iPhone backup. The ones covered here are for Mac computers. We can't leave without iTunes as an iPhone users if we needed to manager our iPhone media library more efficiently. Assuming you've done the backup using iTunes, you can once again use iTunes to restore loss data to your device. Step 1: Make sure the latest iTunes version is on your Mac, then open it and connect your device. Step 2: Enter a passcode or click Trust This Computer when asked; select your device on the left, and then under "Backups" you'll see an option to either "Back Up Now" or "Restore Backup". Step 3: Click on the second option. If it's encrypted you may be asked to enter the password at this point. Otherwise, your backup should be restored to your iPhone in a few minutes. Now, all iPhone data will be overwritten by the backup file and new data will be deleted from the device. So this kind of restore looks dumb when comparing to the method in below sections. Also, apps and media files are not able to restore according to the latest policy. You can see from the above screenshot. 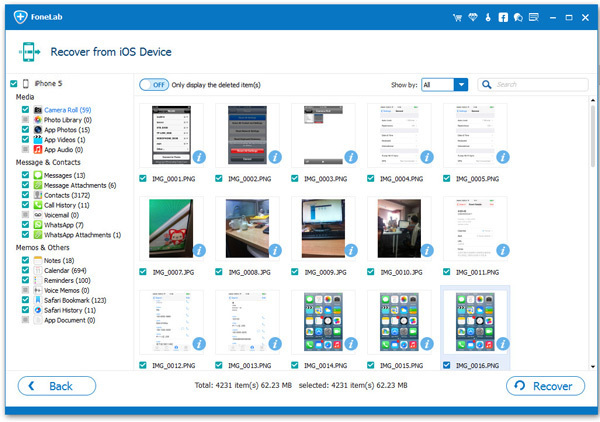 Androidphonesoft iPhone Data Recovery is a robust utility allows you to recover your backups from your device, from an iTunes backup or an iCloud backup. Even if you haven't done a backup or your iPhone is bricked or smashed, you can recover upto 19 different types of data. The toolkit for iOS (supports iOS 11) has multiple modules, which you can use to extract the latest backup to your iPhone. The software is a premium utility, but there's a free trial version you can check out before you purchase a license. Currently, you can run this program on Windows or Mac computer. In here, we will use Mac version as demo. Once you download and install the software, launch it and connect your iPhone to the Mac. 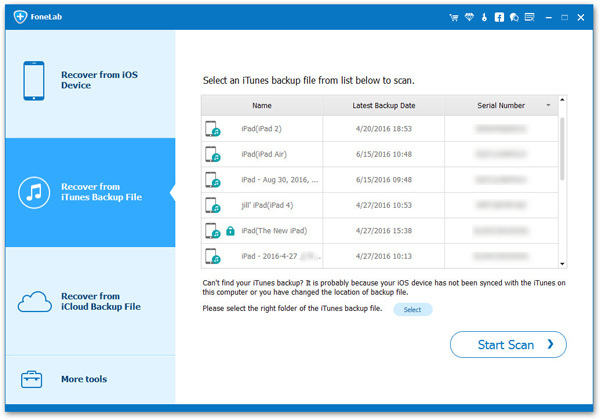 To extract your iPhone data from an iTunes backup file, select the second option on the software interface; choose the right backup file and click on "Start Scan." Once the scan is complete you can choose whatever file types you'd like to recover from the list on the left. You will be able to view the content on the right side. After selecting what you want to recover, simply click on "Recover" and the job will be done in a few minutes. Quite impressive, right? The extracting feature is much stronger and flexible than using iTunes. You are free to choose the data you want to extract or recover. 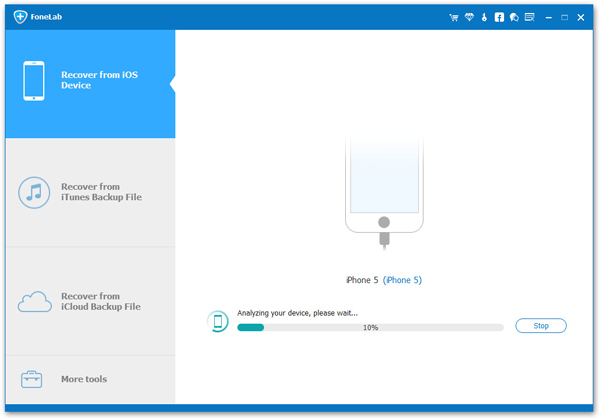 Dr. Fone for iOS is another really powerful utility for recovering your data and restoring your backup file to your iPhone. As with the previous software, it offers a free trial version before you need to purchase a license. 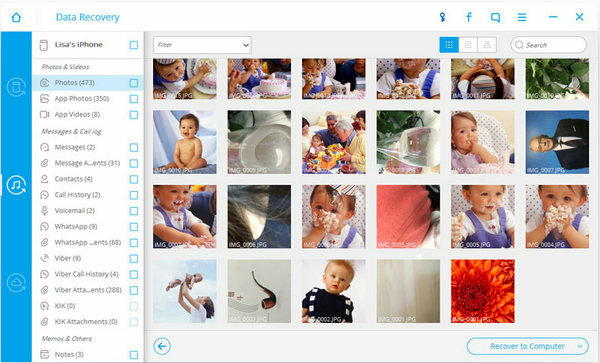 The interface is smooth and intuitive, and you only need to follow a few steps to get all your data back on your device. Step 1: After you download, install and launch the application, the first thing you need to do is choose the type of recovery you want to execute. There are options to recover from the iOS device itself, recover from an iTunes backup file or recover from an iCloud backup file. Choose the appropriate option. Step 2: If you have multiple backup files, choose the right one and then click on "Start Scan". At this point you can also delete the other backup files if you want to do that. Step 3: After the scan is completed, you'll be able to choose what data to recover. You also have the choice of restoring to the device or recovering it to your Mac computer. Choose the right option and your task will be completed in a few seconds. All of these tools are highly effective, but we would recommend the premium software simply because they have several other functionalities built in. Spending some money once and benefiting from that for a long time just makes good sense.